This is my life. Except there's no picture of someone gaffering down a chicken. It probably needs a 'hammer' option to cover all eventualities. Surely that's included automatically with the oil? What's a flow 'chat' ? 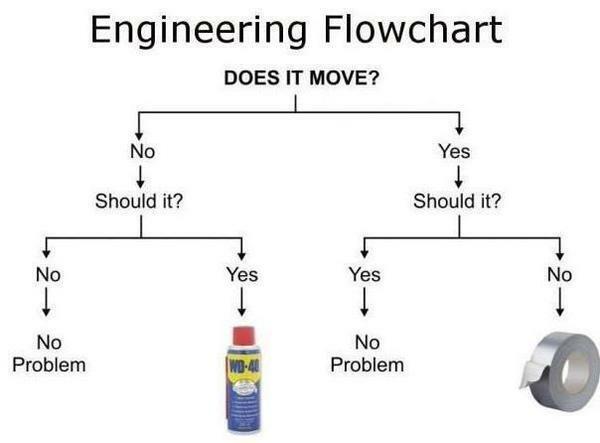 My current flow chart would have a lump hammer and a welder. Nice one. The chicken might not appreciate it though.